We all celebrate the date when we first came into this world. That is because we feel special about our birth dates. 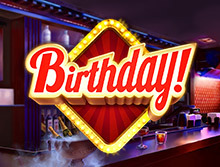 And ELK Studios had already developed a casino video slot for casino geeks in which the main theme is the birthday. The name of the slot is also ‘Birthday!’. 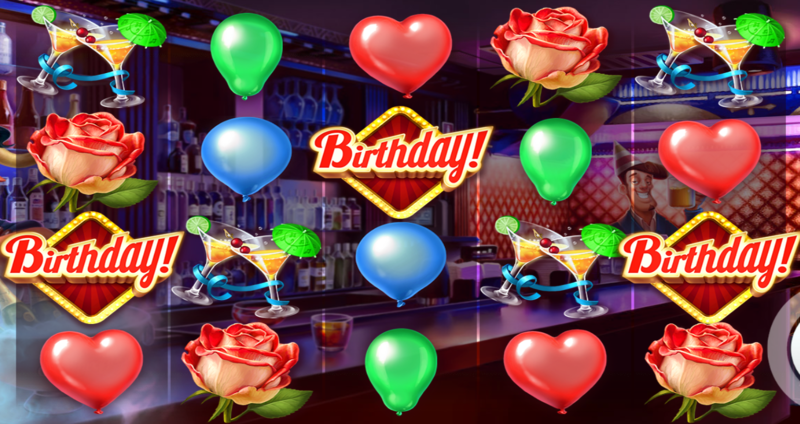 It is really exciting when a slot is all about birthday things and those make us feel special. This slot is one of the most exciting slots in the world and some of the great online casinos offer this slot to its players. Birthday! Slot has a total of 3 rows along with 5 reels. There are different symbols on the reels. A total of 25 paylines are there to match any combination of them to win each round. It can be played on different devices. The only requirements are an internet browser and internet connection. And it is a great convenience that you will not need to download anything to play this online casino video slot. According to the ELK studios, the RTP or the Return to Player is 95.4%. RTP is one important term in the casino gaming world as casino games are related to real money. A good RTP secures a good amount of bonus after a player wins a round in slot games. And as the RTP of this slot is quite high, gamblers love to have this slot in their favorite list. The maximum win is also huge in it. It can be 9500 Euros if the wild symbols or the substitute symbols appear on the reel. A total of 5 wild symbols can make this happen. As it is a video slot game, it is necessary to have different symbols in it. There is a total of 13 symbols including regular ones, wild, and scatter. There are 11 regular symbols, 1 wild or substitute symbol and 1 scatter symbol. The regular symbols work as general symbols on the reels. If they match according to the payline, then make you win different bonuses. The substitute symbol substitutes all other symbols except the scatter one to make you win a big amount of bonus. If 3 or more scatter symbols appear on the reels, then you will get 15 free games. The maximum limit of free games is 15 times in this slot. If two or more of these symbols appear on the reels in a row, then you will receive bonuses according to the paylines. The scatter symbol is a birthday cake with three candles burning on it. The substitute symbol is a green colored birthday cap. One of the best things about Birthday! Slot is the bonuses it offers. Each round of the game is an independent event and each round can make you win bonus. Only the highest payline will offer you the bonus related to that payline. 2 or more symbols can make you win different bonuses related to the symbols. With stunning graphics and quality and crisp clear sound quality, Birthday! Slot is one of the finest examples of online casino slots in the world. The winning frequency is good in this game.